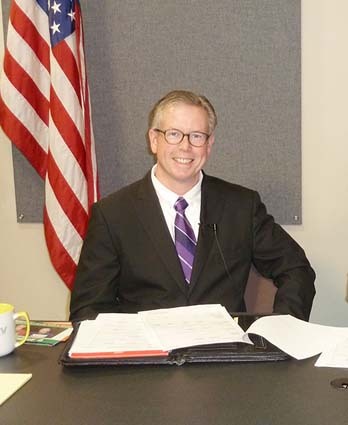 Host Tom Donahue will update the community as the election results come in on Tuesday, March 1 on PEGTV channel 21. Tuesday, March 1 at 7 p.m. — RUTLAND — PEGTV, Rutland County’s public access television station, will be broadcasting live high definition election night coverage on PEGTV cable channel 21 on Tuesday, March 1 at 7 p.m. Join cohosts Tom Donahue and Nanci Gordon along with the PEGTV staff as they report the election results from the polling places of the four wards of Rutland City and the surrounding towns. Those without cable television can watch the coverage streamed live on www.pegtv.com. PEGTV is comprised of Comcast channels 15, 20 and 21 and VTel channels 163, 164, and 165 and is available throughout Rutland County to all cable subscribers. Streaming programming, hyper-local weather forecasts, and video on demand services are also available online at www.pegtv.com.